WASHINGTON – Ahead of Tax Day, American Action Network (@AAN) is launching a new $1 million national television and digital advertising campaign in 30 congressional districts to inform Americans about the benefits of the Tax Cuts and Jobs Act. This new campaign is part of AAN’s ongoing $30 million program to promote the merits of the new tax code and will continue to do so throughout the year. 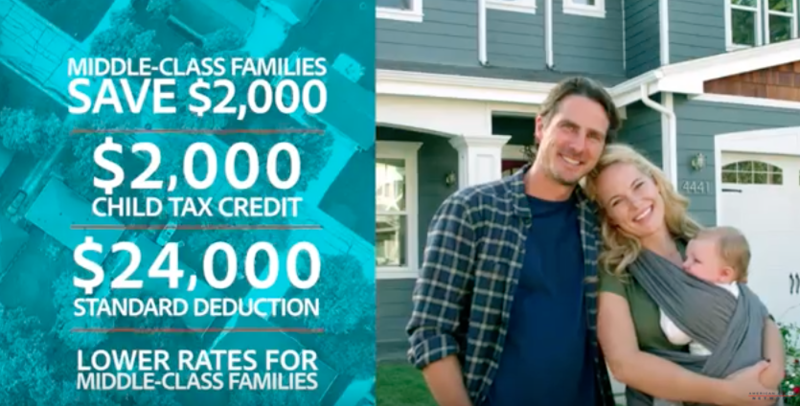 The national ad highlights a $2,000 tax cut for middle-class families and several benefits of the new tax code such as doubling the standard deduction and Child Tax Credit. Prior to the passage of the Tax Cuts and Jobs Act, AAN conducted extensive national survey and data work throughout August 2017 and found 50 percent of Americans live paycheck-to-paycheck. From these findings, AAN determined in order to gain support for tax reform AAN would need to explain how meaningful tax reform would help American families. By unifying the conservative movement and emphasizing real stories with real people, AAN presented a winning message of tax reform as a tax cut for the middle class. Immediately following the passage of the Tax Cuts and Jobs Act, AAN began educating Americans about changes to the tax law by launching television and digital campaigns touting the benefits of this historic legislation. Since August 2017, AAN has spent over $30 million promoting the Tax Cuts and Jobs Act and highlighting how the new savings benefit working, middle-class families. Announcer: This April marks the end of the old, broken tax code. Next year, a simpler system will save us time and money. The average family will save $2,000 dollars. Your Child Tax Credit was doubled. Your standard deduction was doubled. Your tax rates were lowered. That means more take home pay for middle-class families like yours. See how much you’ll save at YourTaxCut.com.